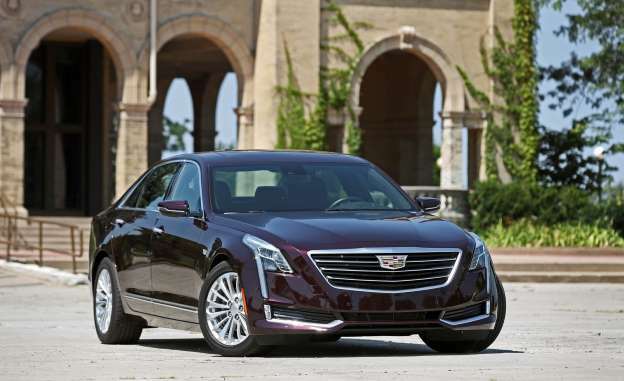 After a busy few years that included the launch of the ATS, the third-gen CTS, exciting V performance variants of both, a redesigned Escalade, a new XT5 crossover, and a new CT6 large sedan, Cadillac has gone quiet for a stretch. The only new product that has hit the streets since early 2016 is this plug-in-hybrid version of the not quite flagship CT6 sedan. A plug-in CT6 isn’t much of a surprise, given the rise of electrification among luxury automakers, notably the CT6’s key German rivals, the BMW 7-series and the Mercedes-Benz S-class. Plug-in hybrids also are becoming increasingly crucial in the expanding Chinese market, where Cadillac now sells more cars than it does in the United States. So the pluggable CT6 comes to our shores by way of Shanghai, where it’s assembled alongside other China-market CT6 sedans (conventionally powered U.S.-market CT6 models are built in Michigan). Even though the hybrid isn’t expected to make up a large portion of CT6 sales in the States, the car’s significance in China means that General Motors saw fit to engineer an entirely new gas-electric powertrain. (The transverse hybrid unit from the front-drive Chevrolet Volt wouldn’t work in a rear-wheel-drive car with a longitudinal drivetrain orientation like the Cadillac.) The new system pairs the base CT6’s standard turbocharged 2.0-liter inline-four with two electric motors housed in the transmission. An 18.4-kWh lithium-ion battery pack provides an EPA-rated 31 miles of electric-only range, more than twice what the BMW 740e offers from its smaller 9.2-kWh battery pack. We found the range estimate of 31 all-electric miles to be entirely believable, especially when we made use of the adjustable regenerative braking system. It’s operated by paddles on the steering wheel, which toggle four “gears” that don’t actually have anything to do with the transmission. As it does with the standard CT6, Cadillac aggressively prices this full-size hybrid luxury sedan. The CT6 plug-in comes in a monospec configuration, including standard equipment such as adaptive cruise control, a panoramic sunroof, and a rear-seat entertainment system, all for $76,090. That’s about $14,000 less than the 740e’s base price and $21,500 cheaper than the outgoing S550e, and those sedans require numerous expensive option packages to get many of the features that come standard on the Cadillac. As with most hybrids, there are trade-offs, chief among them the reduced trunk capacity, which shrinks from 15 cubic feet down to 11. Compared side by side with the 7-series, the CT6 lacks visual presence and interior lavishness, shortcomings made forgivable by its much lower price. This Cadillac hybrid’s strengths—namely its electric range, lively handling, and good value proposition—outweigh its weaknesses, even if it won’t be much more than a blip on Cadillac’s sales radar.